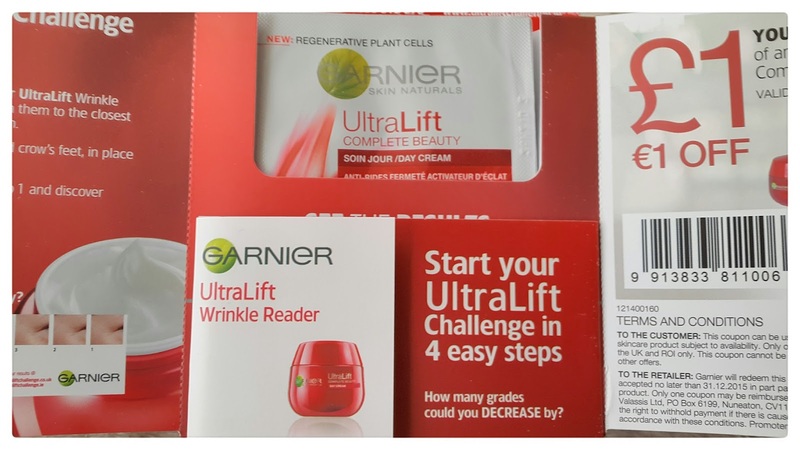 Garnier got in touch with me and asked me if I would like to review their Garnier Ultra Lift Wrinkle Reader Cream range. This range has been out for a while now and I have realised that it hasn't gotten the publicity that it should be getting as this stuff is amazing! 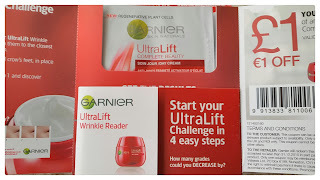 If you are ready to look younger at any age try Garnier Ultra Lift Wrinkle Reader Cream which is anti-aging. When used daily, Garnier's anti-aging moisturisers can reduce the appearance of wrinkles, thanks to their firming and moisturising properties. Many of Garnier's daily creams will also protect you against the harmful rays of the sun. For instant results there’s also Garnier's Miracle Skin Cream, which corrects the skin tone on first contact, making it look more luminous. 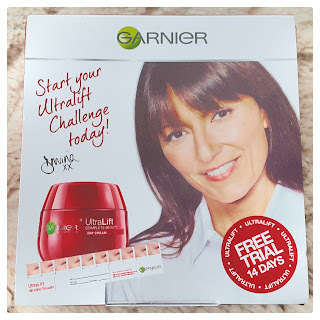 There’s also Garnier's Garnier Ultra Lift Wrinkle Reader Cream, which I was sent, it's their best anti-aging eye cream for soothing your under-eye area. It's never too early to start using anti-aging skincare in order to prevent premature aging of the skin, but choosing your products according to your age is still important in order to get the correct care. A generally effective anti-aging routine should consist of serum, eye cream, day and night cream, dark spot corrector, Retinol, hydrating cleanser and an exfoliator. - Age 18-25: Prevention through sun protectors with a medium to high SPF, a healthy lifestyle and tailored skincare routine with lighter products and antioxidants. - Age 25-35: Light signs of aging repair through hydration, stimulation of collagen production and sun protection to prevent liver spots - especially during pregnancy. Active anti-aging ingredients such as Retinol face cream can be introduced to revive skin and regular exfoliation will ensure a quicker renewal of the skin. - Age 35-45: Intense hydration and collagen stimulation together with active use of Retinol cream and dark spot correctors to firm skin, frown lines and wrinkles while adding radiance. Sun protection with a high SPF is a must. - Age 45-55: Stick to non-drying cleansers and a gentle cleansing brush to remove dead skin cells - especially when using Retinol. 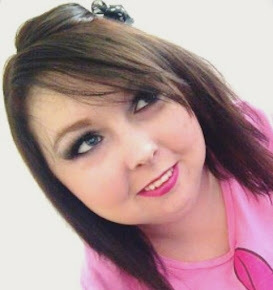 Remember to keep using sunblock and don't forget to treat your neck and chest area to your anti-aging routine as well. - Age 55+: Keep hydrated, sun protected and don't stop your anti-aging routine. Skin can still be improved and protected. Peptides and pure Retinol face cream should be used, and dark spot correctors will keep liver spots in check. 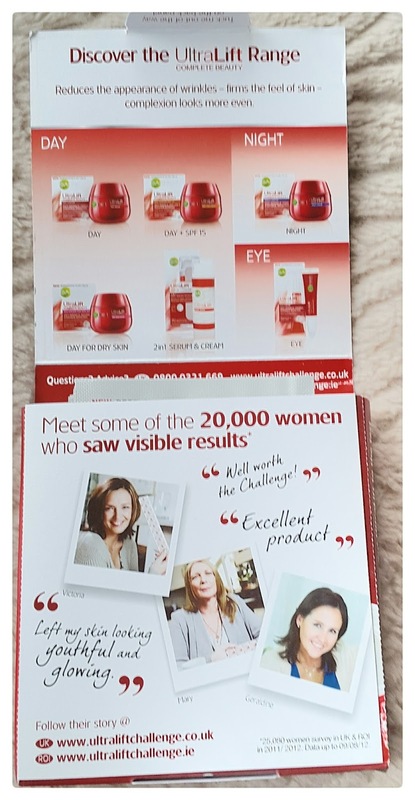 I've been using this amazing stuff for seven days now and I have really seen a difference in my face and my skin. If you want to find out anything else about the amazing Garnier Ultra Lift Wrinkle Reader Cream or you have any questions which I haven't been able to answer in this blog post then please click here it will take you to the Garnier website for all of their FAQ.